All rooms have coffee makers, irons, ironing boards and hair dryers. The parlors, suites, penthouses and governor's suite, includes a small refrigerator and microwave as well as items listed above. 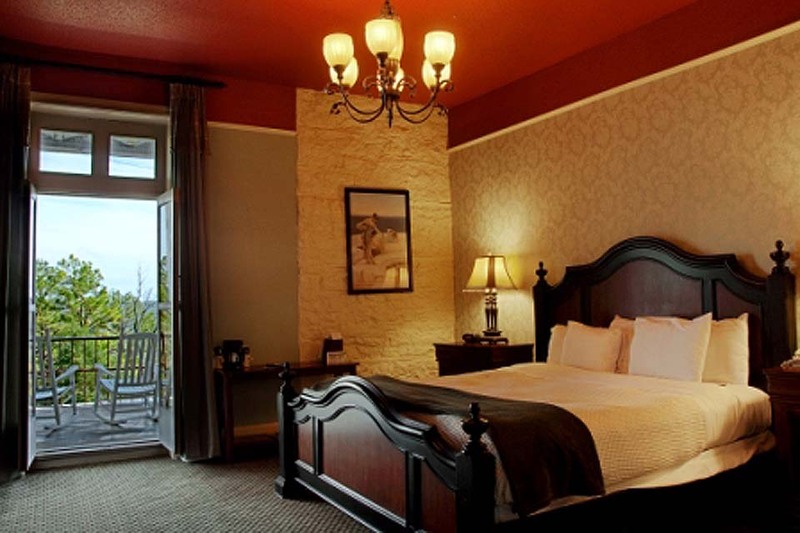 This room features two king bedrooms, parlor, wet bar, balcony and bath with Jacuzzi jets. At the highest point in Carroll County the view from the penthouse is unsurpassed. Features a King bed and seating area. The servant's quarters are for servants no more. 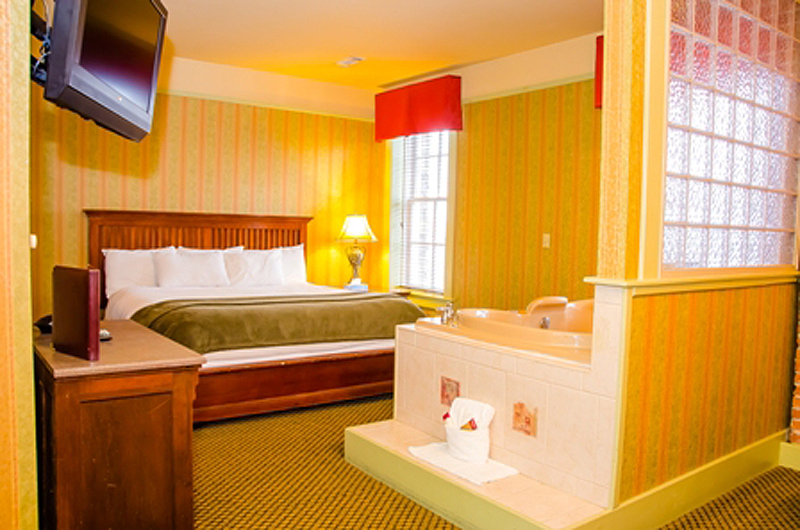 A BIG Jacuzzi, large TV, comfortable seating area and BIG King bed is ideal for relaxing space during a romantic Arkansas getaway. Nonsmoking, some of the suites come with balcony. 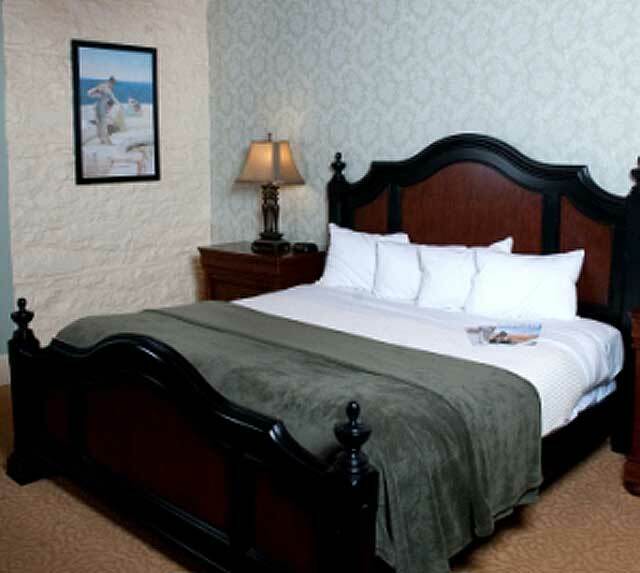 All have parlor and King bed and are designed to carry your spa experience to your guest room. Premium King Balcony, Superior King Balcony, Superior Queen Balcony (Michael's Room) and Queen Jacuzzi Balcony room types. 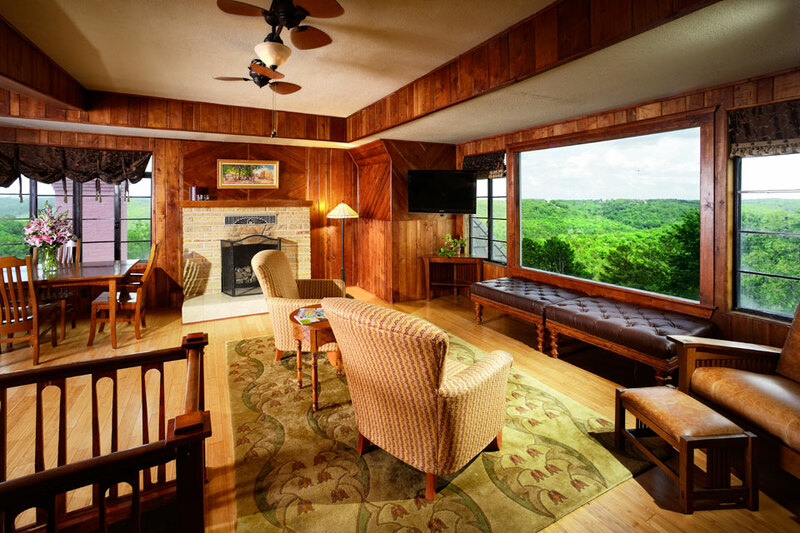 Down bedspreads and cotton linens, furnished Veranda is shared with other guest rooms. Complimentary wireless Internet access. 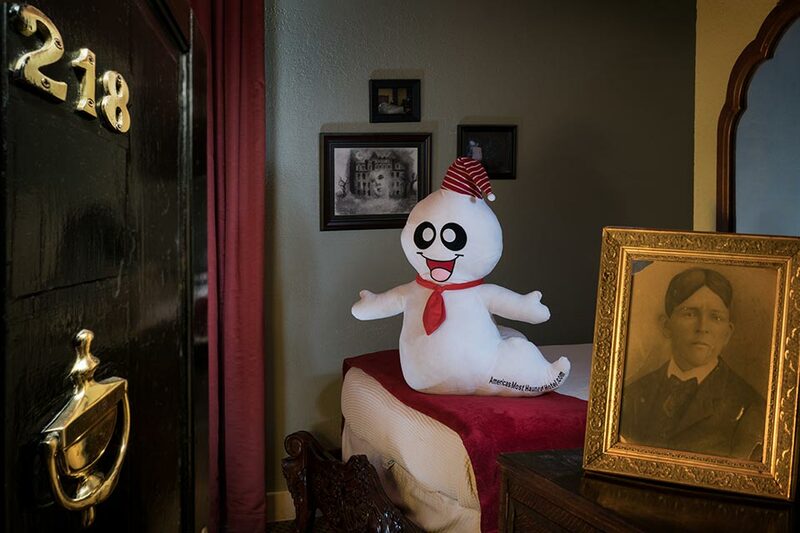 The most haunted in Americas Most Haunted Hotel. 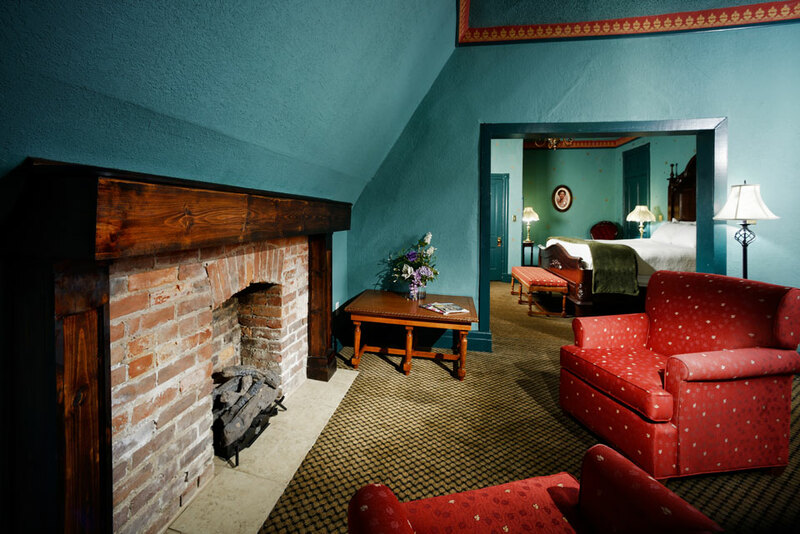 Our most requested room includes a queen bed, veranda with privacy screen and much more. 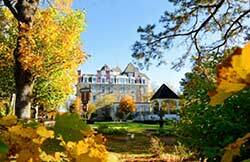 This Eureka Springs hotel room features spacious accommodations designed with Victorian accents and modern conveniences. Our lowest priced accommodations offering either one or two beds with clean and comfortable accommodation in the main hotel. 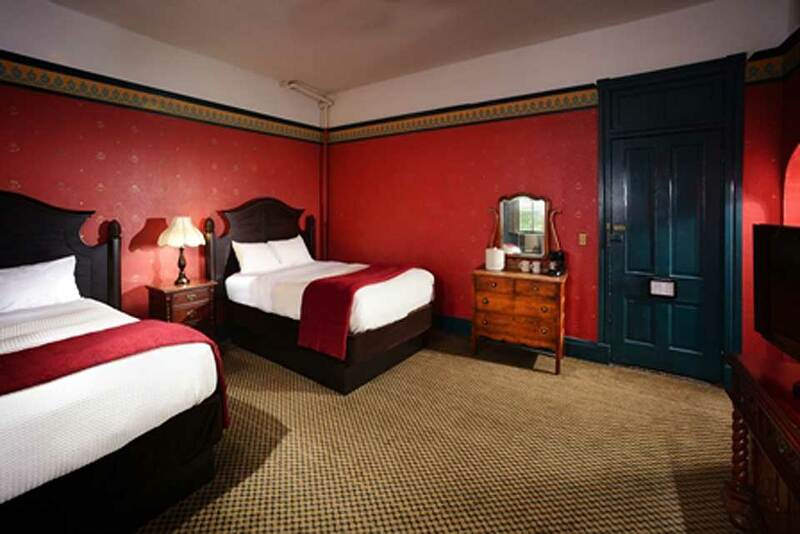 Our premium guest rooms are designed to share with all guests Victorian design and modern convenience. 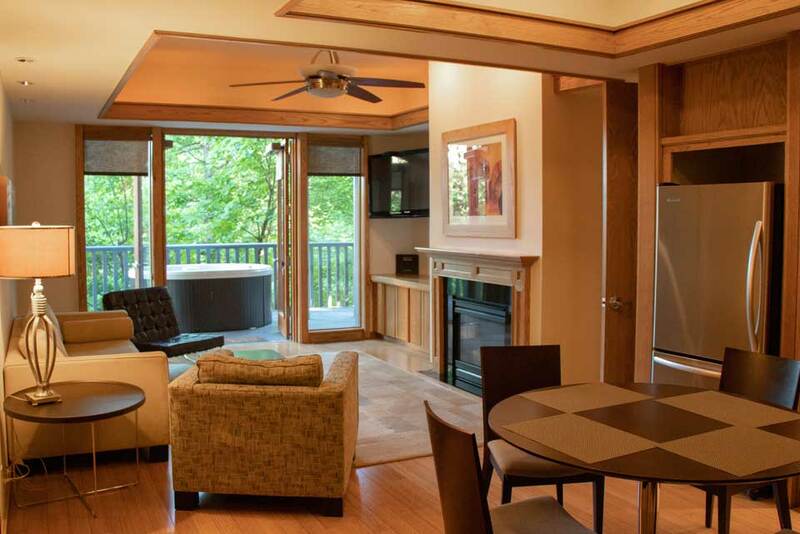 Treetop Cottage has a large private deck in the trees, full kitchen, dining room, 1 bedroom with connecting bath featuring a Jacuzzi and 1 bedroom with connecting bath featuring a walk in shower. 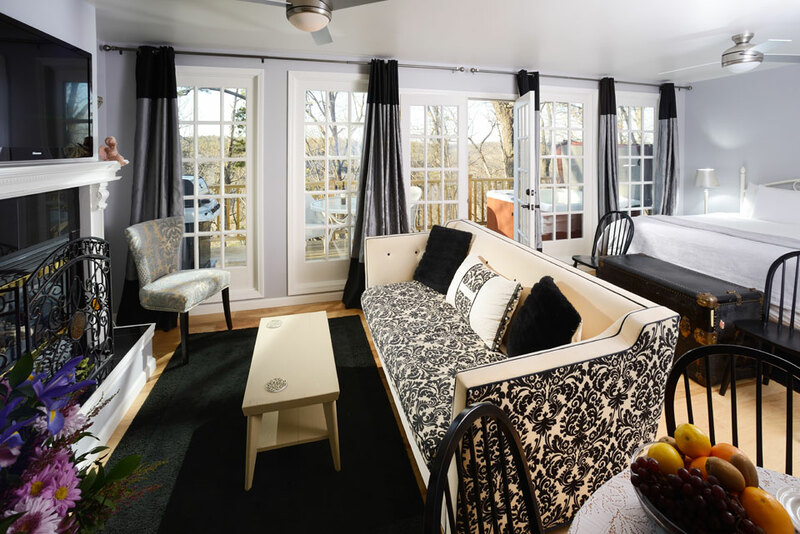 The Cottage enjoys shared amenities of the Crescent Hotel & Spa (a short walk from your entrance) as well as trailside access to the Harmon Park Trail. Trailside Cottage is private with a large private deck and hot tub, full kitchen, dining room, 1 bedroom with connecting bath featuring a Jacuzzi and 1 bedroom with connecting bath featuring a walk in shower. 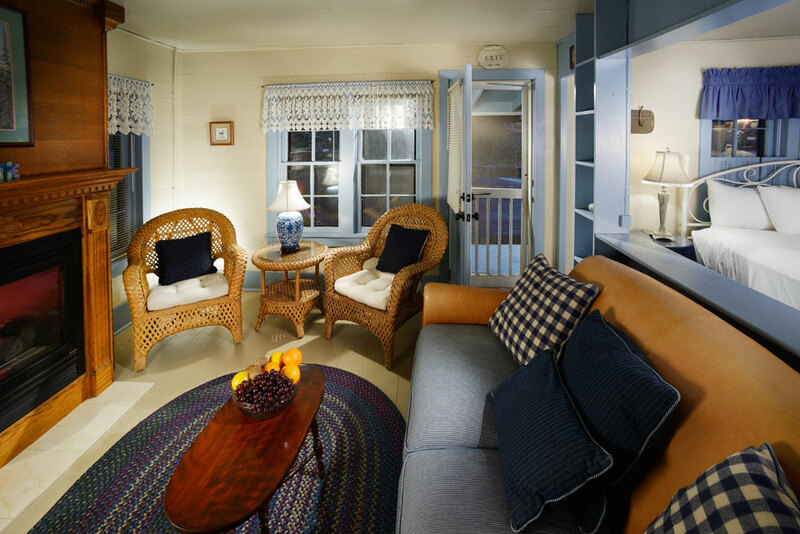 The Cottage enjoys shared amenities of the Crescent Hotel & Spa (a short walk from your entrance) and trail access from your balcony. 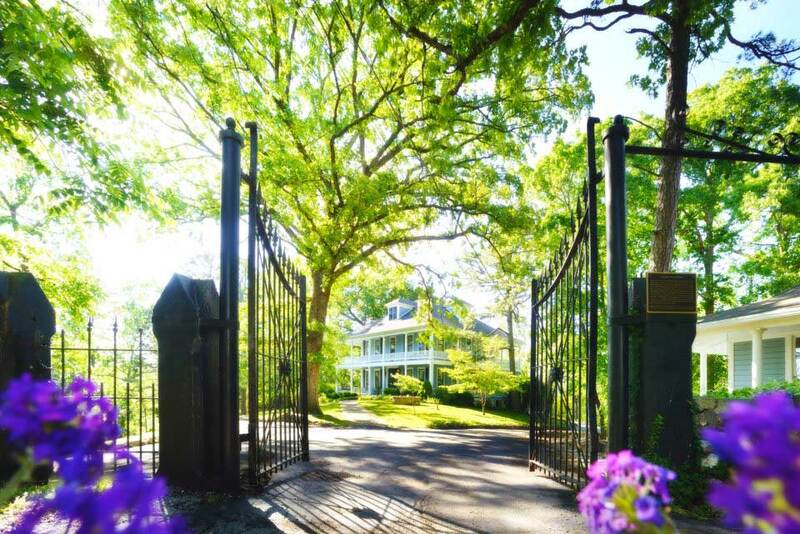 Iconic in its staure this 5 Bedroom Home with two Luxury suites, three guest bedrooms, full kitchen, fireplace, large parlor and wrap around decks. Perfect for family reunions or corporate events. 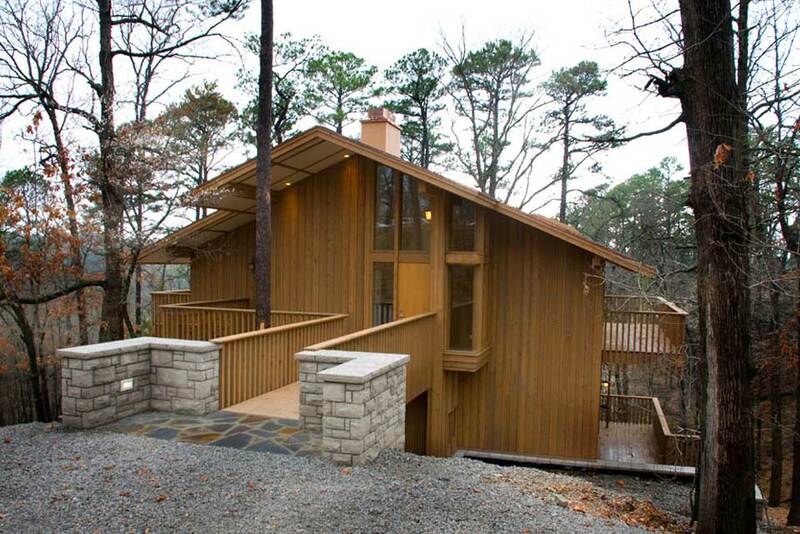 Filled with fresh air thanks to French doors that open out onto a private deck overlooking the valley. It offers a contemporary look with a king bed, full sized kitchen, living area and a natural gas fireplace. 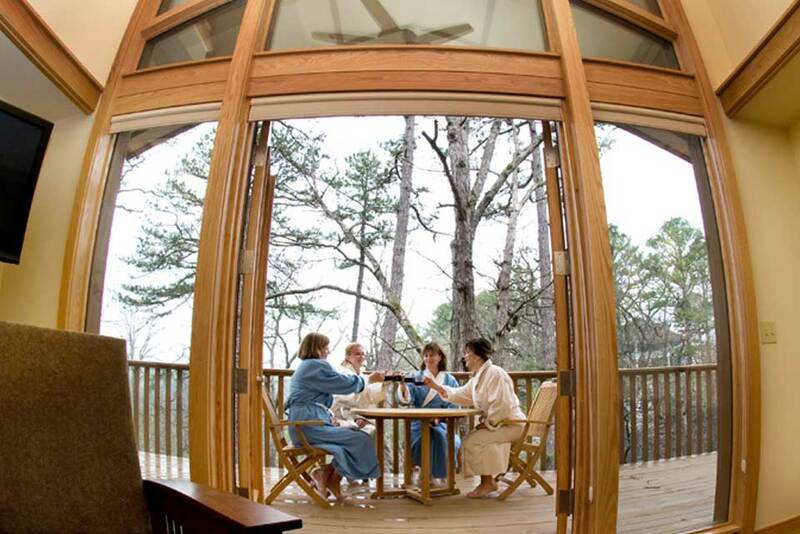 The deck is a perfect place to dine al fresco, soak in the hot tub, or just relax and take in the clean mountain air. Built for the caretaker of the estate this cottage, this historic but well appointed vintage 1902 cottage features wood slat walls, fireplace and king bed. 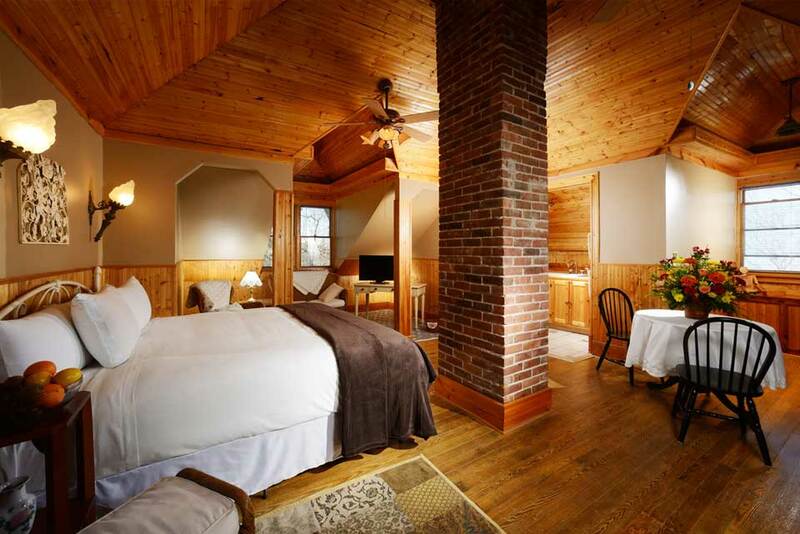 Downstairs is a quaint deck with natural gas fireplace as well as the Jacuzzi for two and shower. 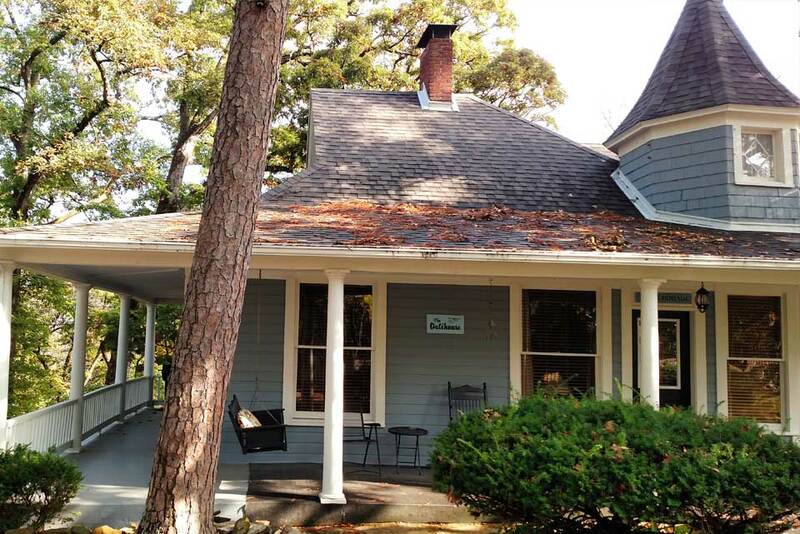 This vintage cottage, feautres a full sized kitchen and spacious living room with fireplace. Large king bedroom with bath that includes a jacuzzi tub with interesting upstairs nook space and small bedroom for kids sleepover space. 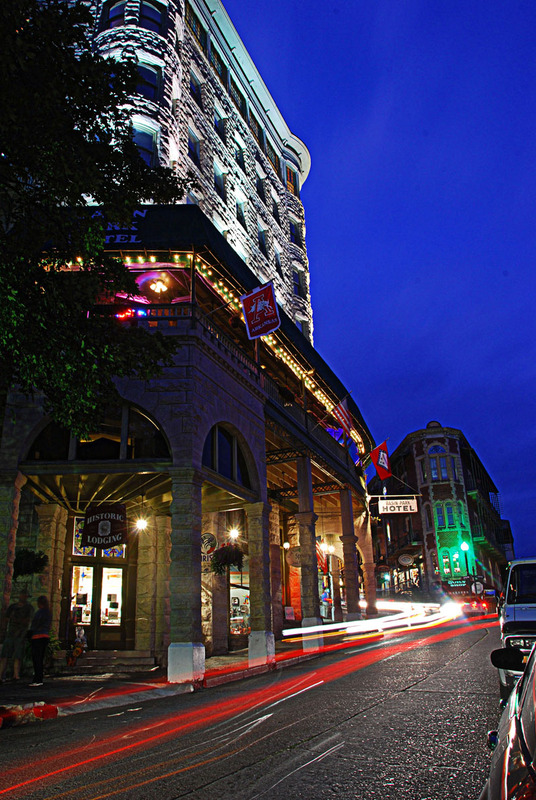 Where The Most Fun Happens Downtown Eureka Springs! 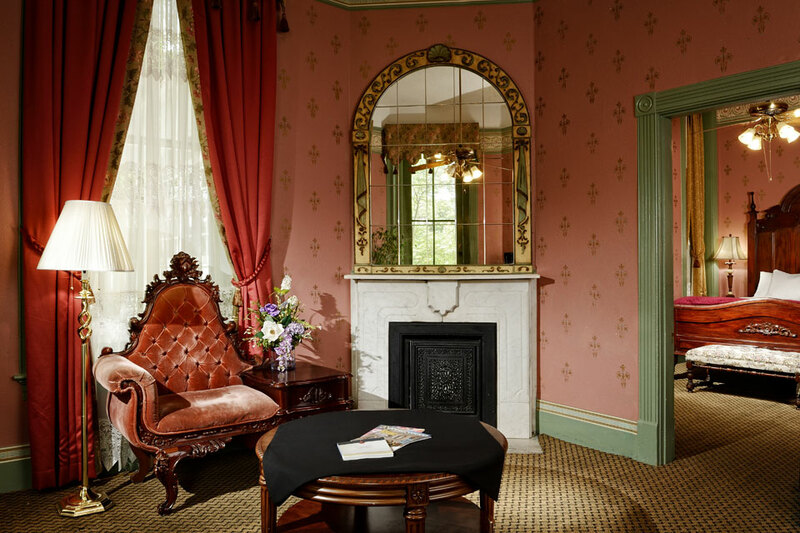 At the spring where it all began, guests can enjoy this turn of the century hotel with accomodations that range from premium king to the finest in whirpool suites. 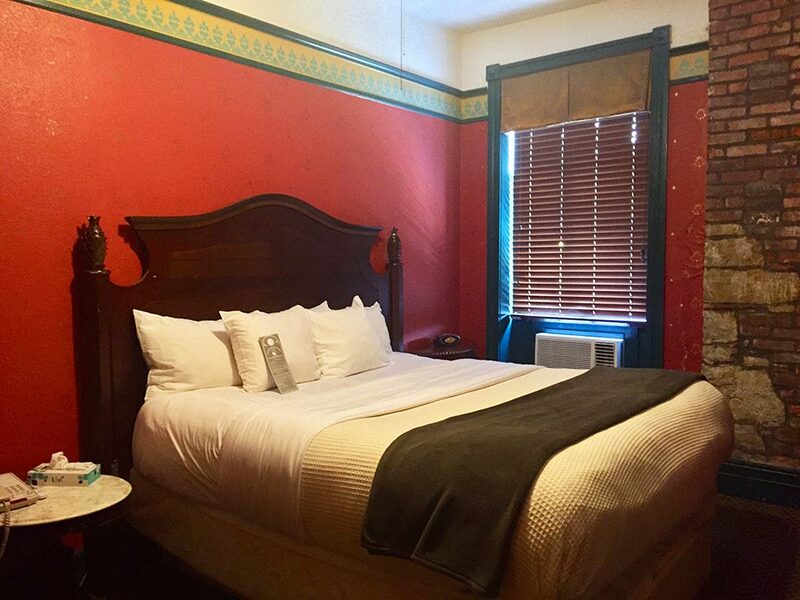 The Basin Park Hotel offers complimentary downtown parking, shuttle service as well as the Balcony Restaurant, Spa1905 and Rooftop Billiards.